Keeping an emergency kit is not something that is specifically for an emergency or disaster. Having an emergency kit on hand when traveling or camping, for example, might even save your life when medical aid is too far away. 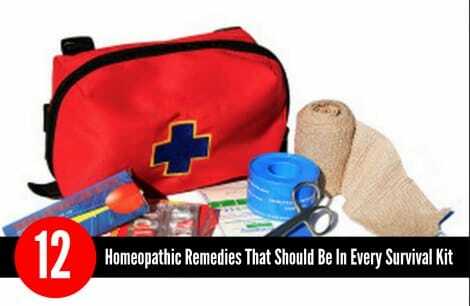 A simple survival kit with a few homeopathic remedies will be a truly helpful thing to have on hand. If you are growing herbs in containers or in your garden, then you already have a crucial ingredient for several homeopathic remedies to add to your survival kit. Minerals will also be used in a lot of recipes for home remedies. If you are homesteading, then you may already be growing most – if not all – that you will need.